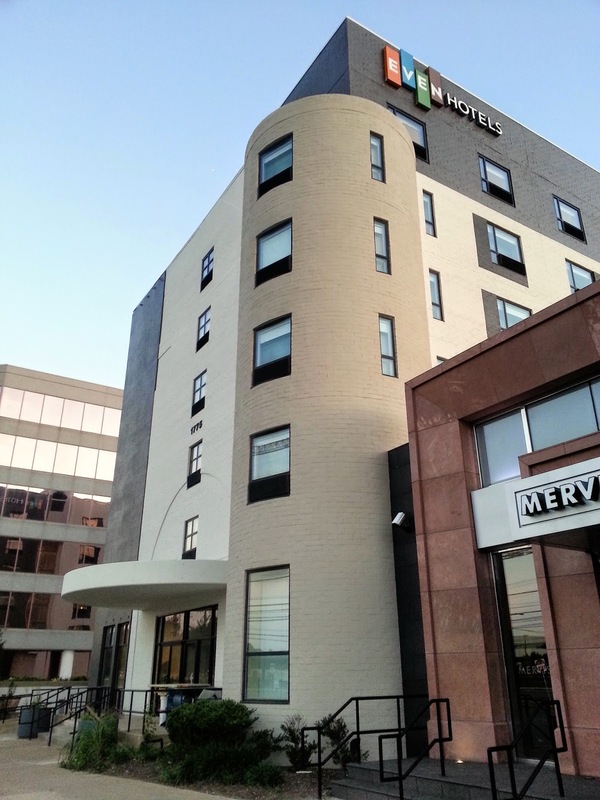 Construction workers were busy in the lobby, but some major outdoor work had already been accomplished at the soon-to-open EVEN Hotel on Rockville Pike. Permanent signage has now been installed, so this is how it will appear to busy travelers driving along the Pike (MD 355). 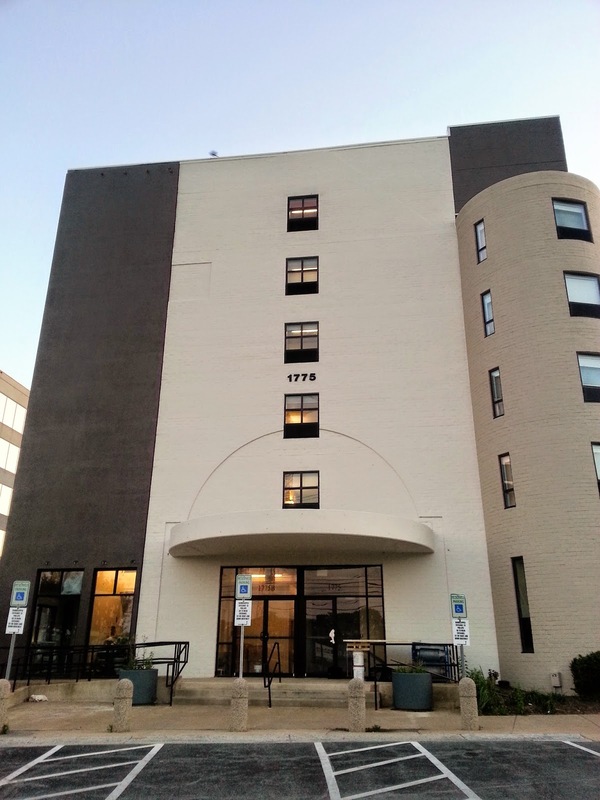 The completely-renovated hotel at 1775 Rockville Pike was most recently known as the Legacy Hotel. 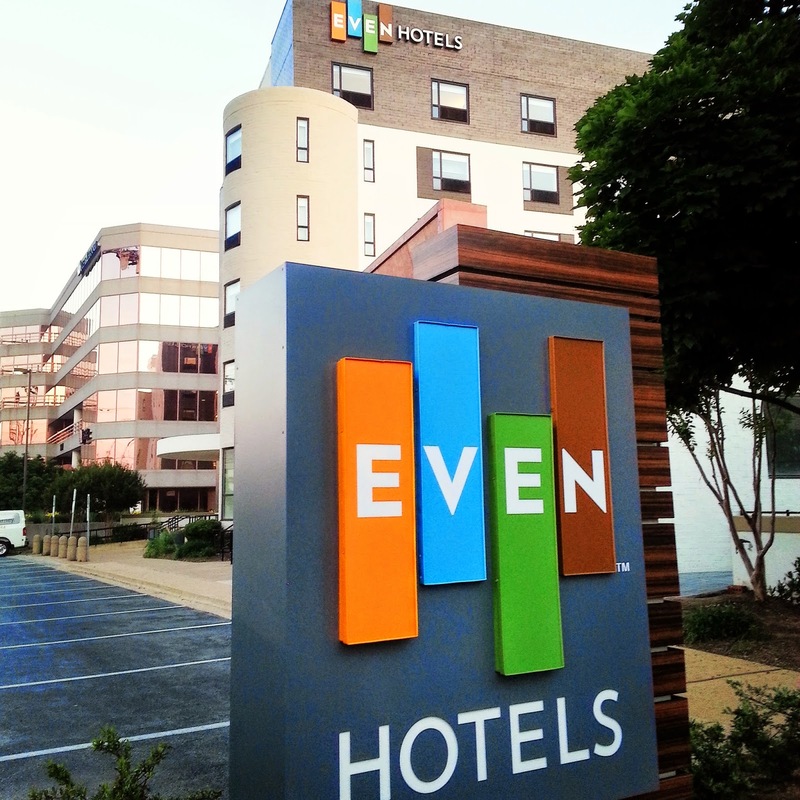 Now Rockville has bragging rights to one of the first EVEN hotels in the country, a new IHG brand marketed as upscale lodging for health-conscious travelers. A second hotel, Cambria Suites, is currently under construction in Rockville Town Center.